DOWNLOAD THE Dual Telemetry Survey Report! Erdos Miller ran a survey about Dual Telemetry Tools to get a better understanding of how and where these systems are being used in the industry. The final results were analyzed taking into account the information gathered from 67 respondents who qualified themselves as either "Service Company Managers or Coordinators", "MWD Field Engineers", or "Drilling Engineers or Operators". What the biggest perceived advantages and disadvantages are for Dual Telemetry Tools. 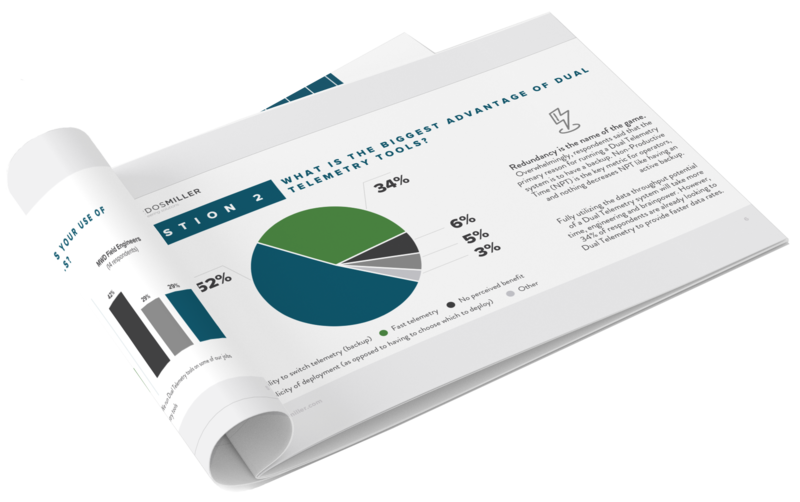 Download the Dual Telemetry Survey Report Now!